NORFOLK, Va., (MEAC) — Norfolk State utility player Alex Mauricio was named the Mid-Eastern Athletic Conference (MEAC) Baseball Player of the Year, the conference announced today. Teammate Devin Hemmerich earned Pitcher of the Year honors, while Corey Joyce of North Carolina Central was selected Rookie of the Year. North Carolina A&T State head coach Ben Hall received Coach of the Year accolades. Mauricio was named Player of the Year after finding success at the plate and on the mound this season. As a hitter, he led the Spartans in batting average (.374), slugging percentage (.573) and on-base percentage (.457). Mauricio totaled 49 hits and 27 runs scored, including a career-high four runs scored in a win over Longwood. As a pitcher, the junior won four games in 10 appearances, registering a 3.28 ERA in 57.2 innings pitched. Mauricio ranks second in the MEAC in batting average, doubles (17) and hits allowed (50), while leading the conference in slugging percentage. He is currently a semifinalist for the College Baseball Hall of Fame’s John Olerud National Two-Way Player of the Year award. Hemmerich started 12 games and recorded nine wins, including six complete-game victories, for the Spartans this season. The senior finished the regular season with a MEAC-best 1.74 ERA over 98.1 innings pitched. A five-time MEAC Pitcher of the Week and one-time Collegiate Baseball News National Player of the Week selection, Hemmerich broke Norfolk State’s career strikeout record. He amassed a MEAC-high 111 strikeouts this season, bringing his career total to 308. He ranks second nationally in complete games, fourth in total victories, seventh in strikeouts and 14th in ERA. Hemmerich ranked first in the MEAC in almost every pitching statistic, including ERA, opposing batting average (.191), innings pitched, strikeouts, wins and runs allowed (23). Joyce led the Eagles in slugging percentage (.513), RBI (43), triples (3) and home runs (5) in his first collegiate season. The two-time MEAC Rookie of the Week started 46 games and recorded 65 hits, including a season-high five in a win over Savannah State, while racking up 34 RBIs on the year. Defensively, Joyce notched a .943 fielding percentage with 86 putouts and 18 double plays in the infield. Hall earned Coach of the Year honors after guiding the Aggies to a 15-9 conference record, and 26-23 overall, this season. 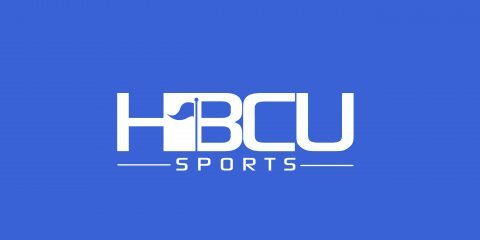 The Aggies, who were picked to finish fifth in the conference’s preseason poll, finished second in the MEAC Southern Division, clinching the No. 2 seed in the upcoming 2017 MEAC Baseball Championship – the team’s first appearance since 2013. Joining Mauricio, Hemmerich and Joyce on the All-MEAC First Team are Bethune-Cookman’s Anthony Maldonado, Danny Rodriguez, Jameel Edney, Demetrius Sims and Adonis Lao, Norfolk State’s Brian Beard and North Carolina A&T State’s Noah Dyals, Adan Ordonez and Myles Sowell. The 2017 MEAC Baseball Championship begins Wednesday, May 17 at 12 p.m. at Arthur W. Perdue Stadium in Salisbury, Md. The tournament concludes with the championship game on Saturday, May 20 at 1 p.m.
Devin Hemmerich SP 6-1 Sr. Norfolk State Norfolk, Va.
Anthony Maldonado SP 6-4 Fr. Bethune-Cookman West Palm Beach, Fla.
Noah Dyals RP 5-11 Jr. North Carolina A&T State Tampa, Fla.
Adan Ordonez C 5-7 Jr. North Carolina A&T State Clermont, Fla.
Danny Rodriguez 1B 6-3 So. Bethune-Cookman Pembroke Pines, Fla.
Corey Joyce 2B 6-1 Fr. North Carolina Central Lexington, N.C.
Jameel Edney 3B 5-8 Jr. Bethune-Cookman West Palm Beach, Fla.
Demetrius Sims SS 6-2 r-Jr. Bethune-Cookman Ann Arbor, Mich.
Myles Sowell OF 6-2 Jr. North Carolina A&T State Greensboro, N.C.
Adonis Lao OF 6-0 Jr. Bethune-Cookman Elmhurst, N.Y.
Brian Beard OF 5-11 r-Sr. Norfolk State Chesapeake, Va.
Alex Mauricio UTL 6-0 Jr. Norfolk State Midlothian, Va.
Tyler Norris SP 6-1 Jr. Bethune-Cookman Coral Springs, Fla.
Lane DeLeon SP 6-4 Jr. Delaware State Georgetown, Del. Chase Anderson RP 5-8 So. Norfolk State Norfolk, Va.
Evan Regez C 6-2 Sr. Delaware State Kankakee, Ill.
Carter Williams 1B 6-3 Fr. North Carolina Central Brown Summit, N.C.
Kaycee Reese 2B 5-8 So. Florida A&M Tallahassee, Fla.
Ben Ellzey 3B 6-0 Sr. Florida A&M Ocala, Fla.
Brandon Melendez SS 5-9 Jr. North Carolina A&T State Fort Lauderdale, Fla.
Greg White OF 6-1 Jr. North Carolina A&T State Greensboro, N.C.
Willis McDaniel OF 5-9 So. Florida A&M Tallahassee, Fla.
Dallas Oliver OF 6-0 Jr. Florida A&M Chipley, Fla.
Aubrey McCarty UTL 6-4 Jr. Florida A&M Doerun, Ga.
Devin Sweet SP 5-10 Jr. North Carolina Central Greensboro, N.C.
Ryan Anderson SP 6-2 Jr. Florida A&M Brandon, Fla.
Hunter Fillingim RP 5-10 r-Jr. Florida A&M Tallahassee, Fla.
Conrad Kovalcik C 6-1 Sr. North Carolina Central Detroit, Mich.
Nazier McIlwain 1B 5-11 So. Coppin State Passaic, N.J.
Jalen Atterbury 2B 5-3 So. Savannah State DEcatur, Ga.
Justin Burrell 3B 6-3 r-Jr. Norfolk State Newport News, Va.
Jordan MArtin SS 5-9 r-Sr. Maryland Eastern Shore Atalnta, Ga.
Garrett Wilkinson OF 5-8 Jr. Florida A&M Evans, Ga.
Jake Raby OF 6-2 Fr. North Carolina Central Granite Falls, N.C.
Evan Holland OF 5-10 Jr. North Carolina Central Erial, N.J.
Kyle Gerdts UTL 5-10 Jr. Savannah State Miami, Fla.